I have a Xbox 360 Controller, and wanted to play some Games with it. Is there any tutorial or something like that? 1st, better use lilypad as a plugin. (05-03-2012, 08:49 PM)jesalvein Wrote: 1st, better use lilypad as a plugin. Nono, I mean, I dont know which buttons for Example; "LX" is. For a x360 controller, and if you don't want many custom settings, just use the Pokopom plugin. Select it, and you're ready to go. Yup, that's also a xinput only plugin if I remember correctly. I don't remember how well it works though. 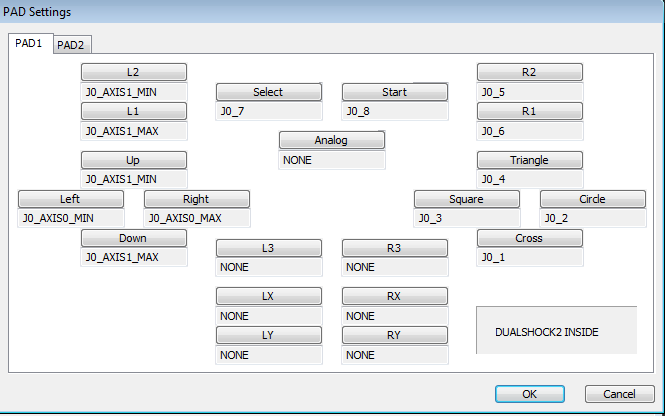 The Plugin is Xpad 0.2.0 Just plug in X360 remote, select that plugin, and away you go.